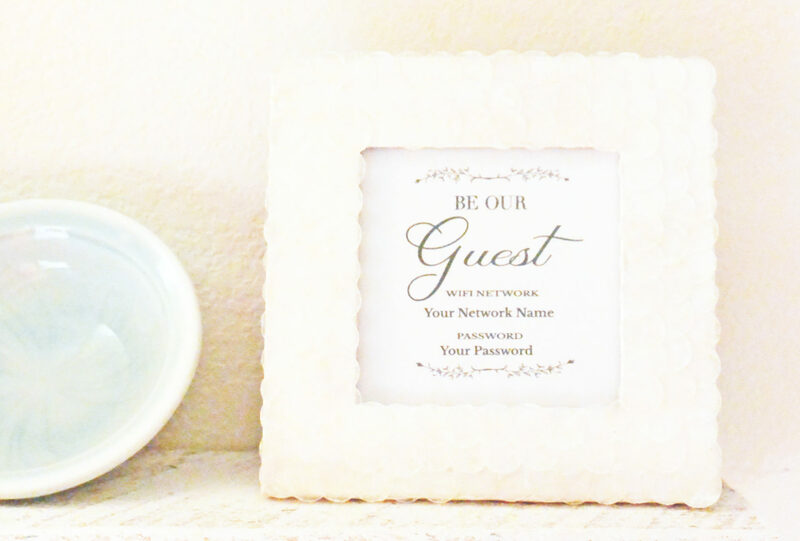 Ever wish for a simple way to let visitors know your wifi and password? 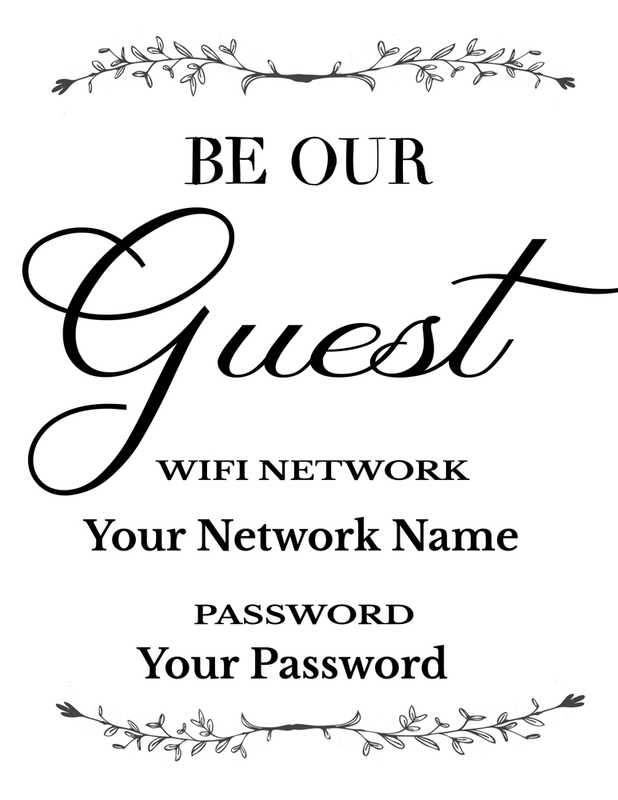 Here’s a classy, fun and practical sign to display your complimentary wifi for guests to use while in your home. Well, visit my Etsy store (juliesaffrinsstuff), and order this happy sign for your guest room or high-traffic area for friends and family to easily use your home network’s wifi. Give me one business day turnaround and you’ll have your own sign. Once you purchase the sign and I have received the wifi and password details from you, you will receive a downloadable digital file for you to print and place in your home. This will be a pdf so you can print it up to 8 1/2 by 11 inches. The image featured in the mother-of-pearl frame is 2.1 by 3.8 inches.